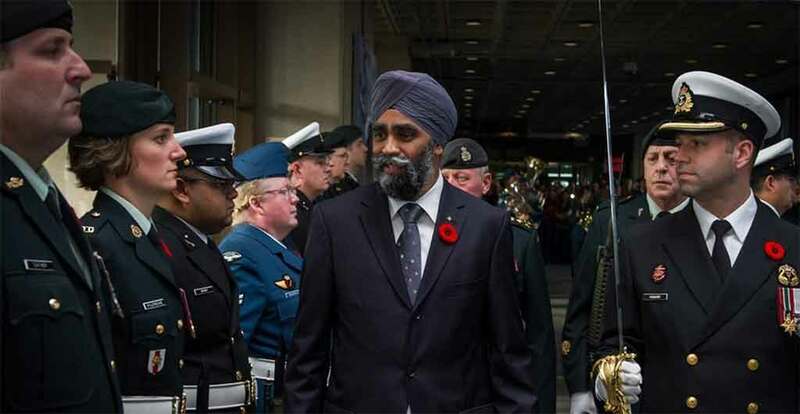 Chandigarh: As per media reports, various Sikh bodies, including the Shiromani Gurdwara Parbandhak Committee (SGPC), Delhi Sikh Gurdwara Management Committee (DSGMC) and Dal Khalsa have decided to honour Canadian Defence Minister Harjit Singh Sajjan who will be visiting Punjab in coming days. “It will be a proud moment for all Sikhs in Punjab and across the globe when the SGPC will honour the Canadian minister at the Darbar Sahib, Amritsar on April 20,” said SGPC president Kirpal Singh Badungar after inaugurating a dispensary in Patiala on Sunday. “Harjit Singh Sajjan, being a Sikh, has done commendable services to the community in Canada and he deserved to be honoured as per the SGPC tradition,” said SGPC chief. According to the Hindustan Times (HT), the Delhi Sikh Gurdwara Management Committee (DSGMC) and Dal Khalsa have written to the Canadian high commission in Delhi seeking time to honour the Canadian minister during his weeklong visit to the Indian sub-continent, beginning today. New SGPC Chief Gobind Singh Longowal was declared a ‘Tankhahia’ | Canvassed votes from Dera Sirsa Ram Rahim during the 2017 Punjab Assembly elections.